Minutely hazy golden yellow color. 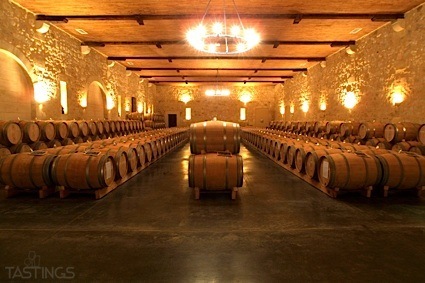 Minty, yeasty, oily aromas and flavors of wintergreen lozenge, anise cookie dough, and walnut-hazelnut oil with a lightly tannic, tangy, off-dry medium body and a smooth, amusing, crisp finish displaying accents of honeyed orange, apple sauce, and nutskin and ground nuts finish. A sturdy, lightly tannic mead for the table. Bottom Line: A sturdy, lightly tannic mead for the table. 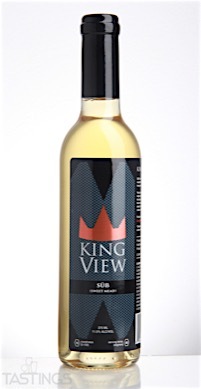 KingView "SUB" Sweet Mead rating was calculated by tastings.com to be 84 points out of 100 on 12/14/2016. Please note that MSRP may have changed since the date of our review.